It’s Valentine’s Day! 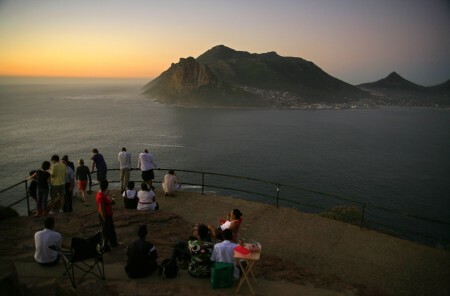 The weather is gorgeous in Cape Town, love is in the air and we think the having a perfect view spot to watch the sun set is one of the most romantic things to do on the Cape Point Route – especially if you’re not sure what to do for Valentine’s Day and haven’t arranged a restaurant booking! 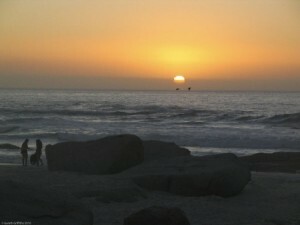 Head for one of the fabulous sundowner spots on the Cape Point Route to watch the sun set with friends or a loved one. 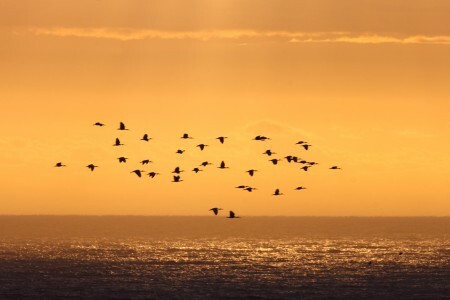 On the Cape Point Route, the sun sets on the Atlantic Seaboard and with a combination of mountain and sea as the backdrop, you can’t get more romantic. 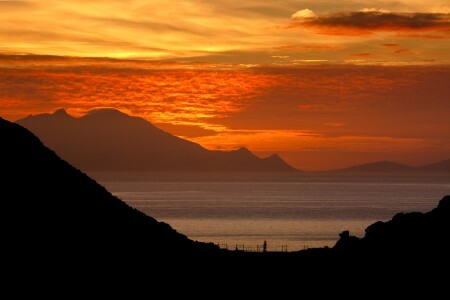 Alternatively pick a sundowner spot on the False Bay coastline and watch the glow in the sky and the moon rise! Just as spectacular as watching the sun set. So find yourself a secluded spot with a view and have a fabulous evening! The sun is due to set at 19:40 today and the weather is perfect which means 13 hours, 20 minutes and 34 seconds of sunshine today!!! We do recommend visiting one of the local delis on the Cape Point Route to organise a private picnic basket and taking your loved one to spot for some wining and dining with views to die for and sunsets right over the ocean. If you are in Noordhoek – pop into the Foodbarn Deli at Noordhoek Farm village. In Kommetjie the organic farmstall at Imhoff Farm has wonderful home made, home grown produce. If you are near Cape Point – the newly revamped food Store has some fantastic deli products and take-aways for your picnic. And what’s a deli if you haven’t visited Olympia Cafe and Deli in Kalk Bay. Here is the Cape Point Route pick of the top sundowner spots this Valentines’ Day. • Chapman’s Peak Drive – find a view point along the scenic coastal drive or if you are slightly more energetic, walk up to the peak for sensational views! Hot tip – take a torch or flashlight for the walk down! Toll road charge for light motor vehicles is R30. • Silvermine Nature Reserve: A relatively short walk will lead you to the panoramic view of the Atlantic Seaboard with spectacular views of Hout Bay in particular. Entry point is on Ou Kaapse Weg (M64) and a small fee is charged .The reserve is open from 7am to 6pm in summer. • Hout Bay Beach – mesmerizing views from the beach. The bay is surrounded by mountains with the distinctive Sentinel Peak so Hout Bay Beach is spectacular for sunsets and sundowners…and no walking required! 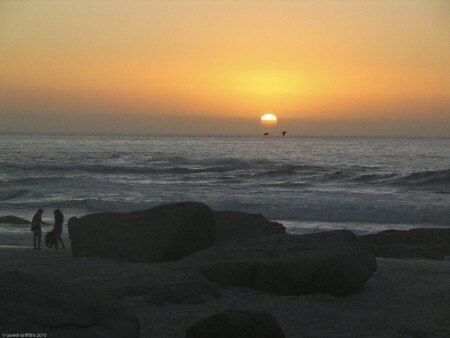 • Noordhoek Beach – with long stretches of white sand it’s easy to find a spot with no-one nearby and the expanse of ocean is perfect to watch the sun set. Tuck yourself on the rocks at the base of Chapman’s Peak Drive if the wind picks up – at the moment it’s pretty wind free! • Scarborough Beach – turn right at the stop street in Scarborough to head to the beach. Large, uncrowded and you’ll likely be entertained by evening surfers or kitesurfers. • Misty Cliffs Beach – there won’t be loads of tourists on this wild beauty of a beach on the way to Scarborough. Part of a conservation village so well worth the stop. • Slangkoppunt Lighthouse in Kommetjie – whilst you won’t actually be at the top for sunset, it’s worth going a little earlier to take in the view and then watching the sunset from the rocks in front of the lighthouse. • Hang out with the penguins at Boulders Beach. 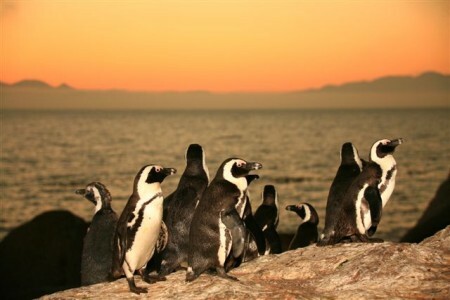 Penguins mate for life so great little critters for inspiration this Valentine’s Day! 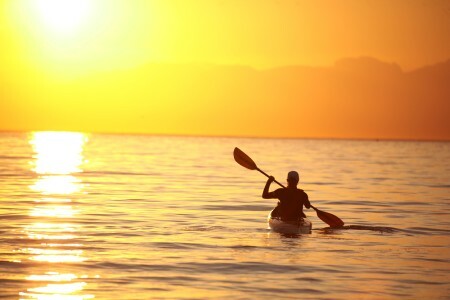 • Get active – go for a sunset sea kayak or a bike ride or a sunset horse ride on Noordhoek Beach! See our list of Romantic Pursuits and our Valentine’s Day Top 10 suggestions if you’re stuck for ideas. 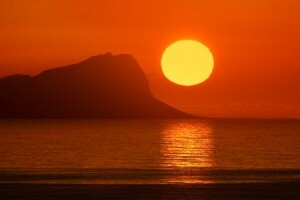 Whatever you do or wherever you go – enjoy your Valentine’s Day… and please share your sunset photographs! Check out the romantic packages and February Special offers for some ideas. 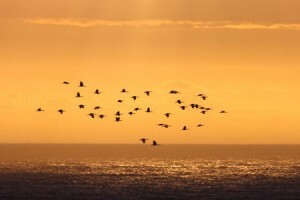 This entry was posted in Activity, Holidays and Special events and tagged Cape Town Sunset spots, Sunset spots, Valentine, Valentines Day. Bookmark the permalink.